Goldie and Ben were issued a Katuba, The Jewish equivalent of a marriage license. Flash forward 64 1/2 years! 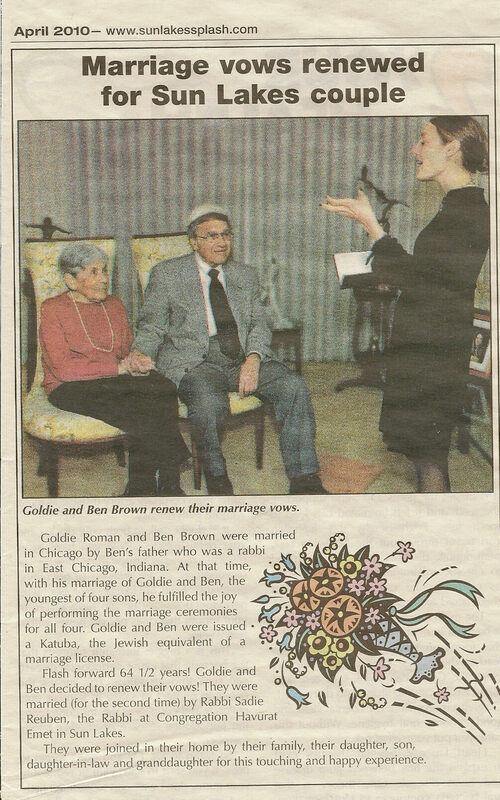 Goldie and Ben decided to renew their vows! They were married (for the second time) by Rabbi Sadie Reuben.